Here's an ornament that was easy to make and free, since I have an abundance of pinecones in our side yard. You'll need a pinecone, some white spray paint, a straight pin, glitter, and a ribbon for hanging. 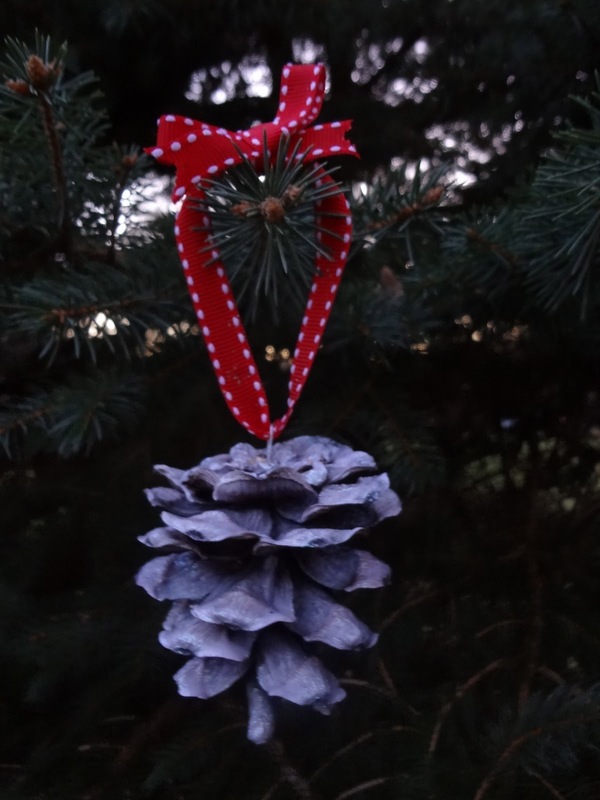 ...then, spray paint a light layer onto the pinecone, from the top.